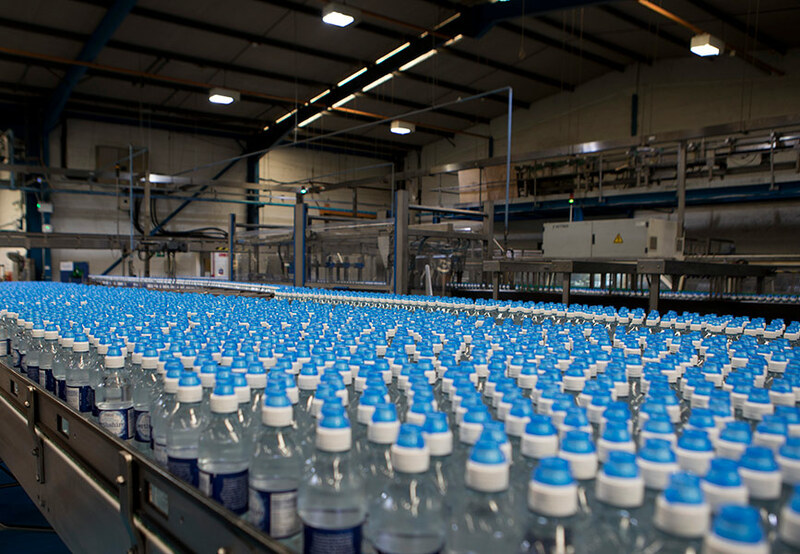 The prominent Scottish bottled water supplier has recently implemented high-efficiency, long-life Tamlite LED EXPO products at its 24-hour plant in Blackford, Perthshire. 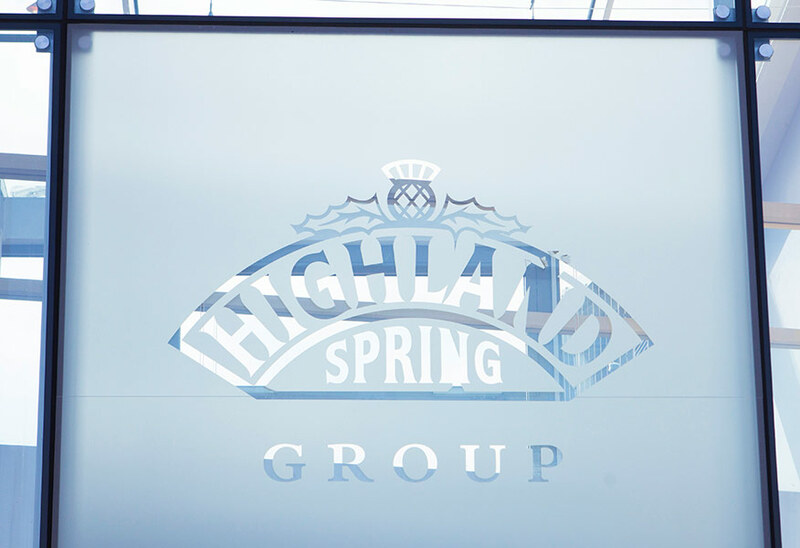 Established in 1979, Highland Spring Group (HSG) has consistently been one of the UK’s most successful suppliers of bottled water. It operates and maintains factories and warehouses in Blackford, Perthshire and has had a long-standing commitment to maintaining facilities that incorporate the latest and most user-friendly technologies. 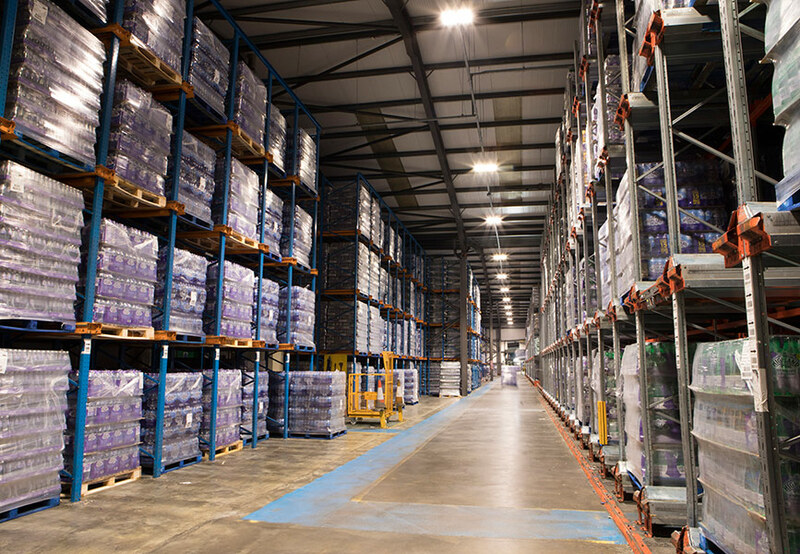 This emphasis recently led to a review of the lighting provision at the facility in Blackford, where storage and dispatch of the finished bottled water product takes place. A legacy system of low-bay SONs in various areas of the warehouse had proven itself to be inadequate on several levels. In some spaces light levels were as low as 20 lux, whilst the ‘warm up time’ of nearly 10 minutes for the fixtures was having a negative effect on productivity and general navigation. It was also envisaged that this could lead to serious problems in the event of an extended power outage. A popular choice for industrial, warehousing and sports hall facilities, the EXPO LED low bays offer a great deal of flexibility for different applications with a mounting height of up to 20m. Featuring a high-performance optical array and in-house LED boards,, EXPO delivers: a high-output LED low bay; Emergency and VISION control options; CRI: Ra>80; up to 150 lumens per Watt efficacy; and 50,000 hours’ lifetime all designed and built within the U.K.
And right now, Highland Spring Group is savouring the benefits of what has been a substantial improvement in lighting consistency and quality. Davie Simpson – Site Engineering Manager at Highland Spring explains: “We run a 24-hour plant here. 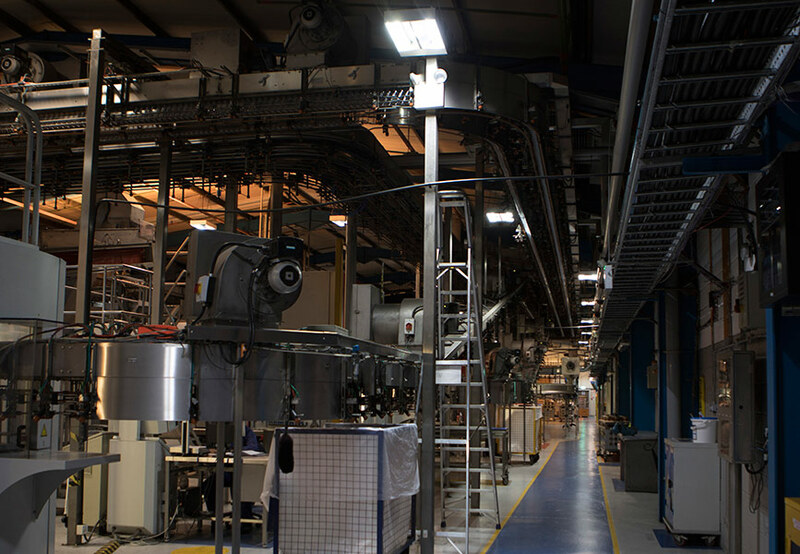 Key to the lighting upgrade has been the requirement for different solutions in the various sectors throughout the plant, due to the specialist requirements of our staff in each sector. “For example, in the manufacturing hall it is imperative our staff are able to easily read the legal and technical language included in our labelling to ensure we meet every regulation that applies within our industry. However, such high lux levels in the warehouse would be potentially damaging to the sight of our forklift drivers as they look up towards the ceiling during the usual course of their duties.